As a hardened veteran of Turn Five and a player who has the Extreme Mode Primal Fights committed to memory, I am counting the days until Patch 2.2. After months of gritting my teeth through every Death Sentence and Double Wicked Wheel, it starts to become old hat, routine even.But with two new hard mode Dungeons, a completely new dungeon touted as the most challenging experience for Light Parties in the game, King Moogle Extreme Mode, a new Primal Battle entirely with Leviathan, and three new turns of the “Binding Coil of Bahamut,” it seems Square has the end game player well taken care of when Patch 2.2 hits! The hard modes of existing dungeons “Halitali” and “Brayflox’s Longstop” hopefully follow in the footsteps of the last two hard modes that weren’t simply just rehashes of their original dungeon. With inclusions of alternate routes and even some story continuity between the normal and hard versions of the dungeons, the hard mode dungeons in FFXIV aren’t simply number adjustments to an existing instance, but basically an entirely new experience! However, the real draw for four man parties in 2.2 is “The Lost City of Amdapor,” a further venture into the Amdapor civilization. With a new type of currency Tomes coming out in 2.2 above “Tomes of Mythology,” hopefully running these three instances will be slightly more lucrative than the set of three that came out in patch 2.1 is. It would be a shame if The Lost City of Amdapor became another “achievement” dungeon like Pharoah Sirius, something that you would run once for the experience and notch on your figurative digital belt. If a refreshing cruise on the S.S. Leviathan isn’t enough for you, there’s a rematch against Good King Moggle Mog and his faithful Mogsguard in possibly the most adorable MMO encounter I’ve ever played through. Taking the cuteness to the Extreme, Good King Moggle Mog makes his triumphant return in 2.2, although the specifics of this encounter remain shrouded in mystery and the details conveniently lost in the Moogle Mail system. 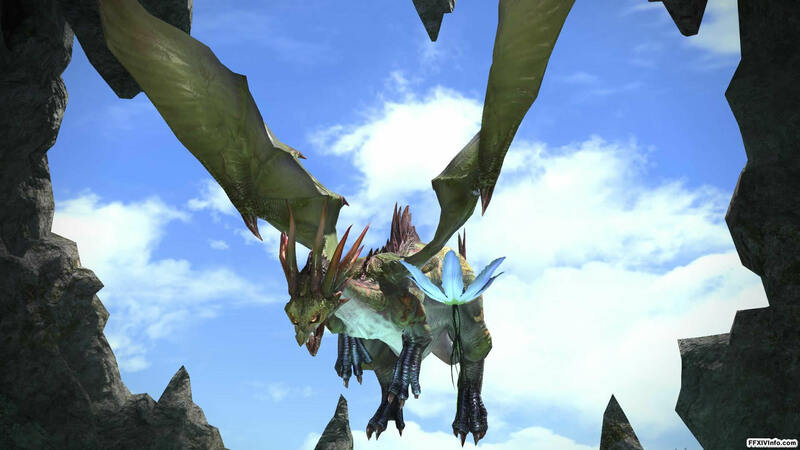 With a suspected, but not confirmed as of yet release date of March 25th, FFXIV looks to continue to prove itself as a great MMO and a shining example of what cross-platform play across two, soon three systems, can be in this modern-day of gaming. On top of all of this new PvE endgame content, there is plenty of other Patch 2.2 additions to the world of Eorzea, from new crafting recipes to the “Glamours” vanity system. With barely over two weeks until the rumored release date,Let’s looking forward the exciting moment together!